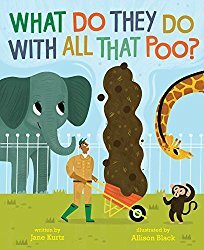 At Growing with Science today we are highlighting the new picture book What Do They Do With All That Poo? by Jane Kurtz and illustrated by Allison Black. Kids of a certain age love these topics. For the text, Jane Kurtz uses a two level approach. Across the top of the pages is a bouncy rhyme, which is fantastic for educators who want to read the book aloud to young children. Across the bottom of the pages are denser sentences geared for older readers who want to find out more information. Using twelve animal examples, — from bats to rhinos — Kurtz explains how the variation in their poo results from differences in the animals’ nutrition and digestion. For example, panda poo is mostly undigested bamboo, so it is green and not smelly at all. On the other hand, penguin poo is fishy. 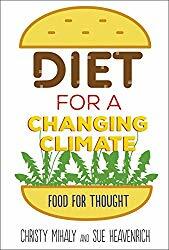 The author also includes information about how zoos handle the disposal of animal wastes, including composting. There’s even a surprise or two at the end. What Do They Do With All That Poo? 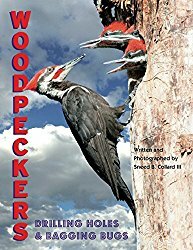 is a perfect book to accompany a trip to the zoo, farm, or wildlife habitat. Check out a copy today! See the rest of the review and more stuff at the blog. Categories: Science, STEM Friday round-up | Tags: What Do They Do With All That Poo? | Permalink. We have a space theme going on here at STEM Friday today. 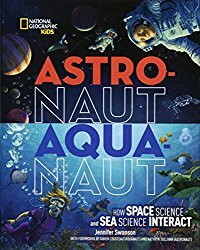 At Growing with Science blog we are featuring Astronaut-Aquanaut: How Space Science and Sea Science Interact (National Geographic Kids) by Jennifer Swanson. 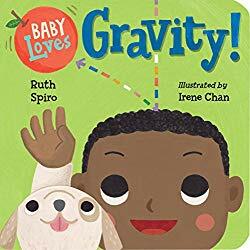 In addition to loads of information about what exploring space and the deep oceans is all about, the book also explains some of the key science concepts. Chapter 4 asks and attempts to answer why do humans explore. Why would someone want to become an astronaut or aquanaut? The final chapter wraps up with what some of the discoveries have been in these two areas. 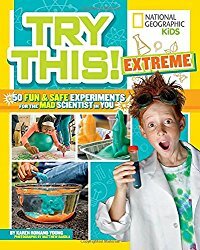 If you’d like to see the full review and some activity suggestions, be sure to visit Growing with Science. 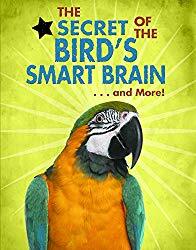 There’s also more about the book and an interview with the author at Nonfiction Monday blog. Categories: STEM Friday round-up | Tags: astronaut-aquanaut | Permalink.